What In commemoration of the centennial year of artist Wu Guanzhong’s birth, National Gallery Singapore presents the painter and writer’s major works from Singapore's National Collection and other private collections. One of the most significant artists of 20th century China, Wu was lauded for his distinctive style that fuses both Western and Chinese art traditions, inspiring and paving the way for younger generations of artists. The exhibition will explore the relationship between his painting and writing. What Very Special Arts (VSA) Singapore presents its first ever inclusive musical. Written and directed by artistic director R Chandran (ACT 3 Theatrics), the production will star many of VSA’s up and coming actors from Very Special Theatrics. A story about the aspirations and struggles of a VSA beneficiary as he strives to become a jazz performer, the musical is inspired by the story of 22-year-old budding pianist Joshua German, who will be performing alongside musicians from the Jazz Association (Singapore). The production is part of VSA’s annual Welcome to My World concert series. 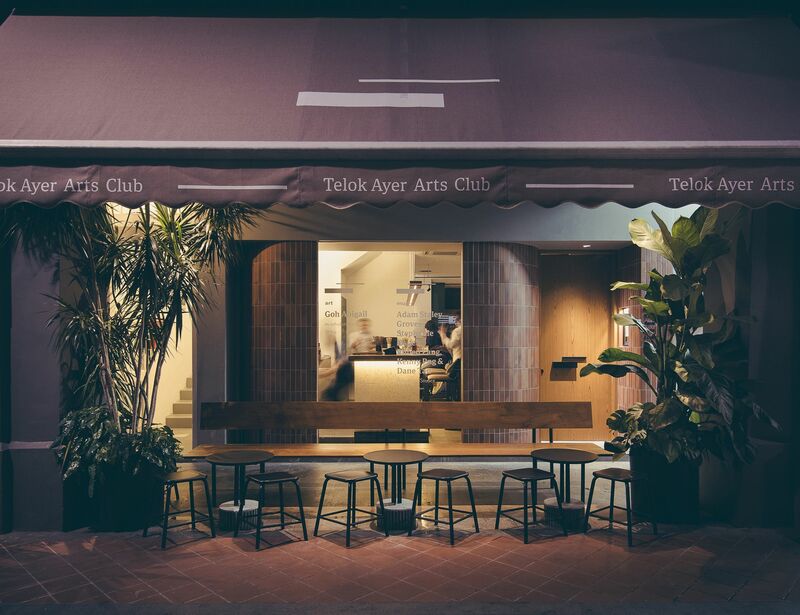 What As an artist-in-habitué at the newly minted Telok Ayer Arts Club, Goh Abigail characterises her experience of the venue from refurbishment to operation via sound, collecting and reconfiguring objects into instruments that re-enact everyday sounds that are often overlooked. Her drawings of lines, shapes and forms act as a musical score, visualising the qualities of sound onto paper. The artist, who was the recipient of the 2017 Chan Davies Art Prize will be on site on select Tuesdays during the course of the exhibition, between 2.30 to 4.30 pm. What Renowned Indian designer Tarun Tahiliani brings his autumn/winter collection to our shores, alongside Singapore-based bespoke jeweller Infiniti Jewels. The ready-to-wear collection, christened The Mandarin Muse, marries the cosmopolitan spirit of modern Indian women with the grandeur of the East. The trunk show will take place from 10 am to 6.30 pm at the Malaysia Room in Hilton Hotel Singapore, and private appointments are available upon request.